Sensationalism in some of the tabloid press in the UK is hardly a recent phenomenon, with much of their reputation built on vilifying marginalised groups in a bid to pander to right wing ideology. But, in the face of what has been described as an “uncontained HIV outbreak” in Glasgow, the potentially damaging language used by the media in Scotland to describe so-called ‘junkies’ must be held to account. To put the crisis into context: in 2017, there was a reported 26% increase in new cases of HIV, with each of these cases being attributed to problem users of heroin. It’s estimated that one in five people who inject drugs in public places are now infected with HIV. Health Protection Scotland has claimed that it is the worst seen in the UK for decades, with the rate of new cases of the virus reportedly trebling in the past two years. 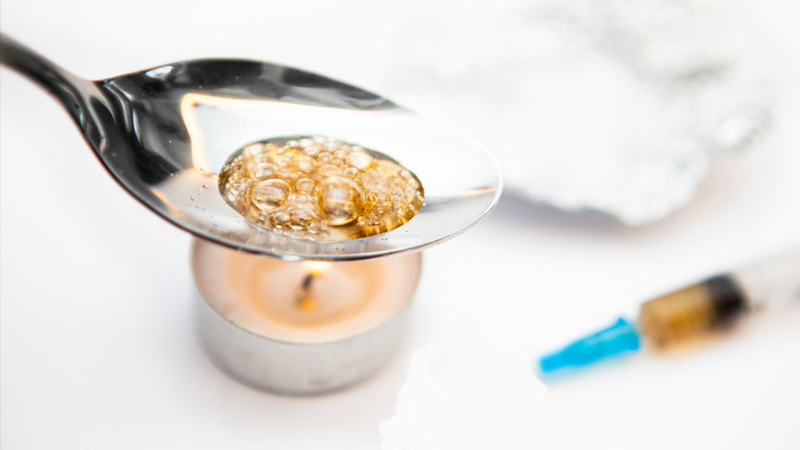 Glasgow-based medical experts have recommended a radical option to remedy the crisis with a Safer Drug Consumption Facility (SDCF) – a clinic where users are provided with a room to inject, equipped with clean needles, in addition to access to anti-overdose treatment supplied by medical professionals who also safely dispose of used needles. 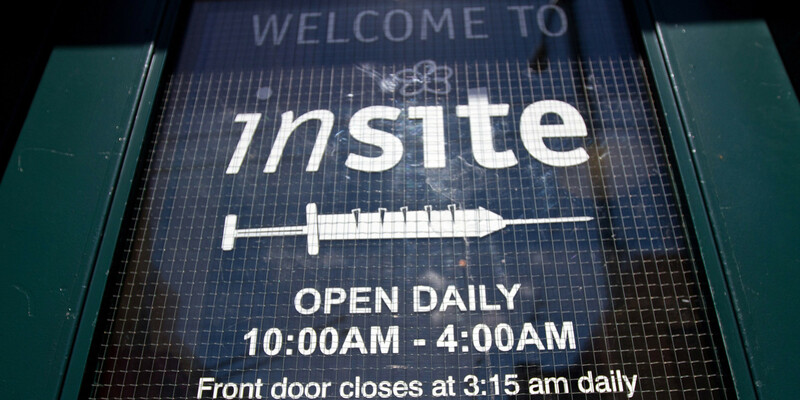 These types of clinics have been in operation around the world since 1986, when the first supervised facility opened in Berne, Switzerland. Often these facilities were opened as a reaction to health and public order concerns linked with the consumption of drugs. Some of these clinics were seen as experimental, coming under stiff opposition. Those suffering as a result of problem drug use register with the clinic, where they are allowed to bring in their own drugs without the fear of being reprimanded by the authorities. Other facilities supplied include the provision of food, showers and access to clothing for those who are currently living on the streets. Clients also receive counselling, drug treatment and regular HIV tests. There is compelling evidence to support that these facilities have been of great benefit to the cities where they have been implemented. In 2010, a study conducted at the Insite clinic in Vancouver, Canada said that it had prevented 35 new cases of HIV and saved almost three lives per year. An earlier study on the clinic in 2007 surveyed 100 clients with a majority claiming that they were more careful about syringe disposal. One clinic in Barcelona, which opened in 2004, led to an unprecedented reduction in the number of unsafely disposed syringes being collected in the city, from 13,000 recorded in 2005 to 3,000 in 2012. “Safer Drug Consumption Rooms are something that can be quite a positive and can change people’s mindsets of how we address drugs in society”, says Paul Sweeney, Labour MP for Glasgow North East. Sweeney was one of 36 Scottish MPs that signed a cross-party letter in January this year. The letter was addressed to then Home Secretary Amber Rudd and demanded action from the Home Office to bring changes to drug laws to allow the green light to be given to a Safer Drug Consumption Room (SCDF) in Glasgow. The plans have been approved by the Scottish Government and the Glasgow City Health and Social Care Partnership, but the proposals have since been quashed by the Home Office, with the UK Government having the final say on any amendment to the 1971 Misuse of Drugs Act. Just months prior to this statement, in September last year, Scotland’s busiest needle exchange – in Glasgow Central Station – was closed by Network Rail. The facility had opened in July 2016 due to a spike in the number of HIV cases in the city. Network Rail said they were forced to take this action after drug taking equipment was found in public areas. Both of these setbacks can be attributed, in part, to the portrayals that are pushed by some of the tabloid press in Scotland. Their particular fixation with the term ‘junkie’ to describe those who have fallen into an addiction to drugs are there in plain sight within the headlines of some articles. Some recent examples include the “the shocking moment a so-called “junkie” passed out at an Asda self-service checkout with a cookie in hand” from the Evening Times, the Daily Record reporting on a “junkie jailed” and a Dundee murder victim who “went from ‘supermom’ to junkie” in the Scottish Sun. The Global Commission on Drug Policy had stated in a report published earlier this year that there is evidence to suggest that problem drug users are already given little help with accommodation. Furthermore, they have evidence to state that two-thirds of employers would never employ someone who previously had an addiction to heroin or crack cocaine. Currently, there is no specific reference in the Editors’ Code – policed by IPSO – that concerns stigmatising drug users, where words such as ‘junkie’, ‘drug abuser’ or ‘crackhead’ have been perceived as defining people as ‘the other’ or as morally flawed individuals. However, moves are being made in ridding journalism of this type of damaging language. The Associated Press Stylebook of 2017 advises to avoid the use of words such as “addict”, “abuser” or “alcoholic” and called for journalists to replace them with “people who have an addiction” or “people who use drugs”. It is evident that this has failed to filter through to the Scottish media, who continue to demonise and stigmatise problem drug users. This is despite clear evidence to suggest that this negative stereotyping has a problematic affect in a recovering user of drugs’ pursuit of basic essentials such as housing and stable work, in addition to adequate care as a means to breaking this tragic and vicious cycle of destitution. The current HIV outbreak in Glasgow now enters into its third year, and its pertinent that journalists have a rethink in their language if they want to make a serious contribution in alleviating a crisis that shows no signs of ceasing. In terms of HIV we have had clear reporting guidelines for less stigmatising language. Each and ever time I see the terms “Aids victims” or “Suffering from HIV” I make a point of writing to the editor and the journalist pointing out the code and demanding a correction. It can be a quick and simple behaviour change intervention with longer term benefits if it is pitched to them in a certain way.